Forest Garden Bamburgh Planter: as far as low-level planters go, the Forest Garden Bamburgh Planter is one of the most appealing. It is ideal for either a kitchen or narrow patio garden and for plants and vegetables that have deep roots that need a large quantity of soil and nutrients to grow safely. 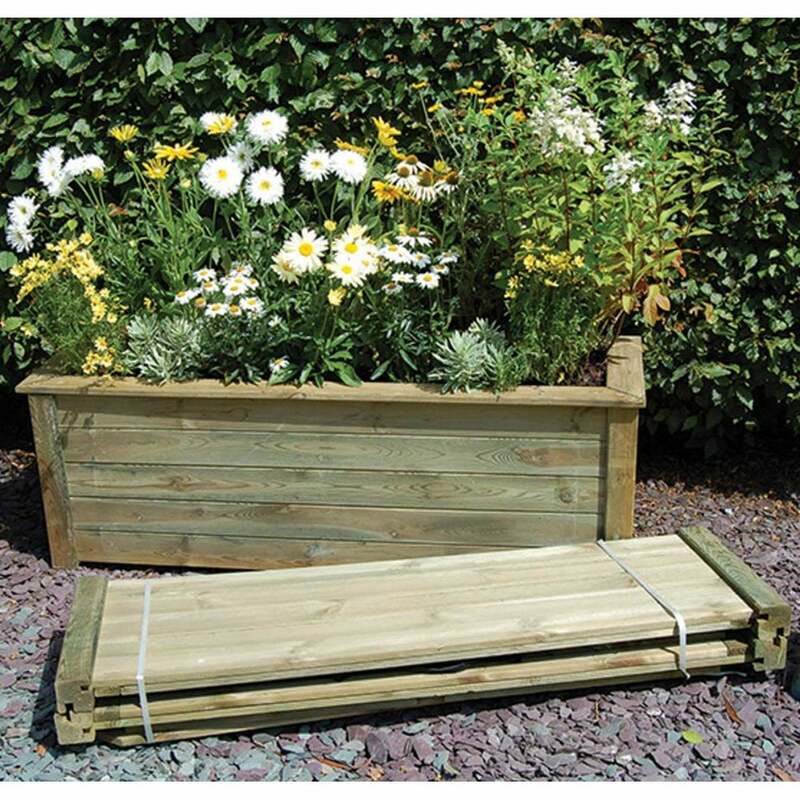 Whether you decide to go with colourful flowers, cooking herbs or deep-rooted vegetables, the Forest Garden Bamburgh Planter is the perfect solution: a robust, yet aesthetically pleasing bed that will remain safe from rot and decay for a long time. Also, its smooth-planed finish timber ensures a splinter-free gardening experience.